Arriving at Mumbai International the terminal looked like it hadn’t changed since the 1950’s. I love it. It’s like a glimpse back in time which you are not afforded in todays modern hub airports of Southeast Asia. I turned on my mobile phone and I received a welcome message from a local mobile network. They tell me I have a free coffee waiting for me at an Indian cafe chain in Mumbai. Then the power went out and we were left in pitch darkness at the baggage carousel. This moment pretty much summed up the new and old India, trying to work together. When I eventually stepped out of the airport a porter greeted me with “Welcome to Bombay, Sir” and lead me to my waiting taxi. I couldn’t help but let him port my luggage after hearing that (not that I had a choice). Bombay has such an charming ring to it. The heat, the tropical trees and the funky little taxis tell you that you are somewhere special. 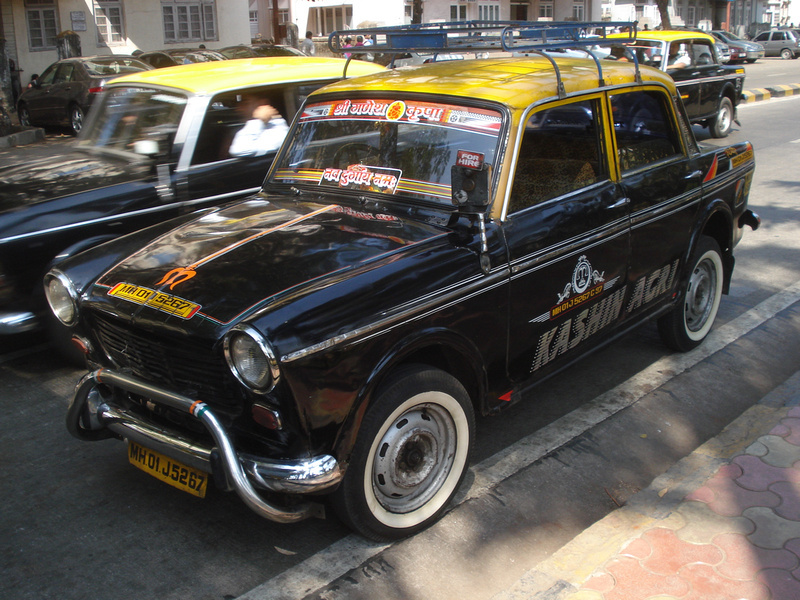 The taxis in Mumbai are black and yellow Fiats. If you are over 6 foot you will need to crouch to see the view and keep your head off the roof. Getting a taxi from the airport is hassle free as there is a prepaid taxi stand in the arrivals hall. The cab ride into the city encapsulated India in one ride. Three lanes of traffic sharing a two lane road. Cars, trucks, auto rickshaws, motorbikes, bicycles, pedestrians walking down the middle of the road, holy cows, mangy dogs, feral cats, stray children, and piles of rubbish everywhere. Breathtaking lane changes and the never-ending honking of horns. 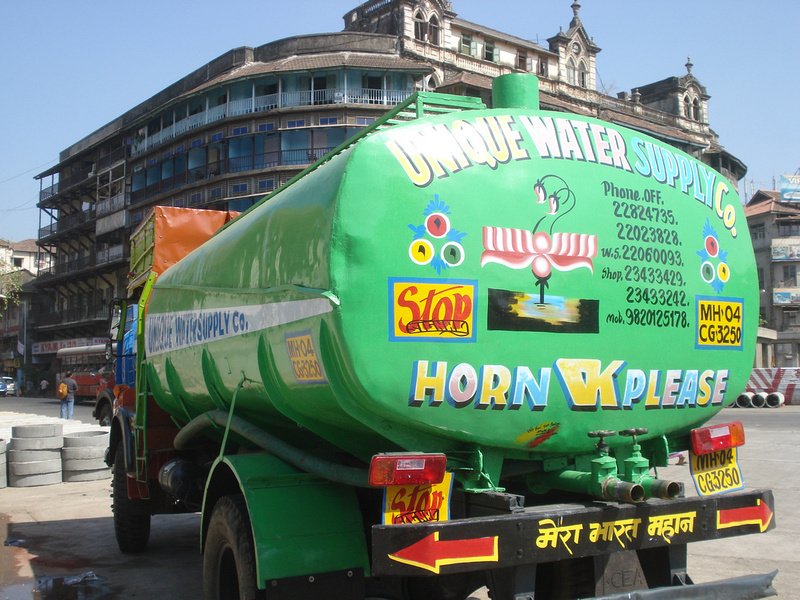 All the trucks have painted on the back “Horn OK Please”, as if it needs to be encouraged anymore. 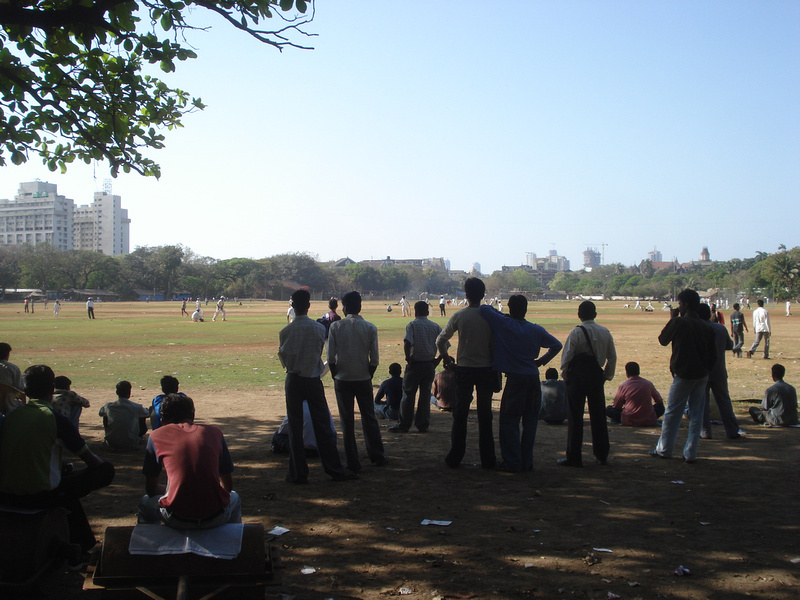 Mumbai (known as Bombay until 1996) is home to over 18 million people. The city is an Island peninsula connected to the mainland by bridges. 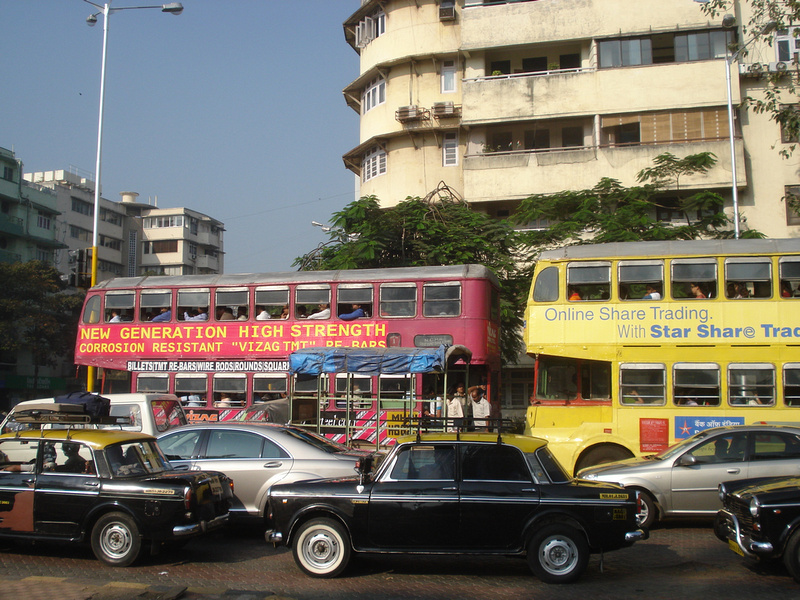 Most visitors stay in the Colaba area, which is at the bottom of the peninsula. For a city that has nearly the same population of Australia I was expecting chaos, but it is a relatively orderly city, in the historic area at least. I went for many wanders outside this area to find the chaos I was expecting. Between the airport and Colaba you cross a river, and autorickshaws are not allowed past this point. This makes a huge difference to the amount of air and noise pollution, compared to the Mumbai you see upon arrival, where the autorickshaws are permitted. Mumbai has an impressive legacy of British colonial architecture. Grand public and civic buildings such as Chhatrapati Shivaji Terminus (formerly Victoria Terminus) train station, modelled on St Pancras Station in London. The Fort area, Churchgate and Colaba is full of run down old mansions and apartment buildings which just scream potential. As India grows economically I hope they are restored rather than knocked down. In Colaba I was approached by a Bollywood casting agent looking for foreigners to do extra’s work for 500 Rupees per day. It’s not much but I was more interested in the experience so I said yes. The agent found 12 foreigners and took us out to a studio in North Mumbai, where the Bollywood industry is based. Our work involved doing voiceovers for other extras where the soundtrack wasn’t up to quality. The movie is a romantic comedy set in South Africa. The movie had at three weddings, which seems par for the course in Bollywood movies. From what I saw, it’s a really cheesy film. Actually it was dreadful, but all of the Indians in the studio were rolling on the floor laughing. One of the Indian guys put his arm around me, lest he fall over from laughter. We had to do some set lines as well as background noise, such as party chit chat, so a lot of Australian in-jokes were thrown in for our own amusement. Lunch was supplied, and they kept us in the studio until 8.30 that night, so they really got their 500 Rupees worth from us. If you are interested in doing Bollywood extra work, just do a few laps of the Colaba area in Mumbai in the evening and someone is bound to approach you. I have been approached every night so far. I got an offer to be an extra in a commercial for 800 Rupees, but my time here in Bollywood is done. I am compiling a list of jobs that I can say is my employment on customs arrival cards, so “Bollywood voiceover man” makes a fine edition to the list. 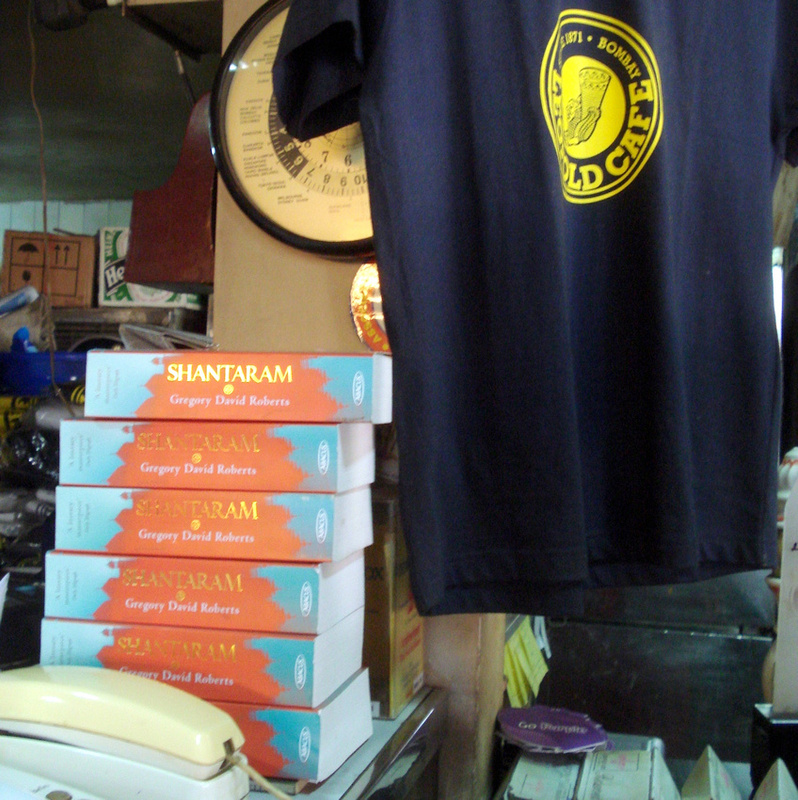 After reading Shantaram I had to visit Leopold Cafe. 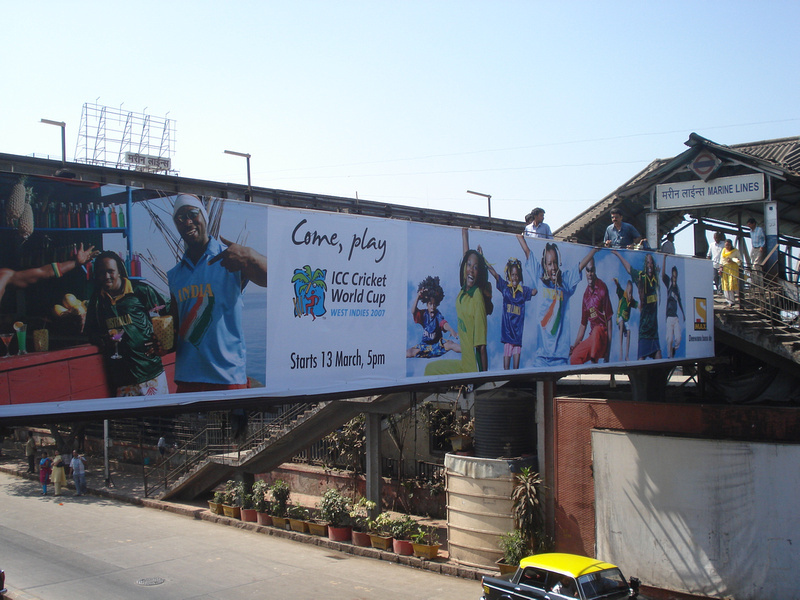 The cafe is located on Colaba Causeway, close to the many hotels in the area. I’ve been there every day as it’s centrally located and it’s a good place to meet up with fellow travellers at the end of the day. India is a land of an uncountable amount of Gods. Ricky Ponting (Australian cricket captain) apparently is one of them. I have had a stream of Indian men approach me to talk cricket. I don’t know if it is always like this or if it’s because the Cricket World Cup starts this month. Before I came to India I had planned to read up on who’s who in the Indian cricket team, which I forgot to do. I need not have bothered as everyone wants to talk to me about the Australian team. So the days on the couch watching cricket in the summer just gone has paid off. You are usually asked where you are from, and when you say Australia, the gushing praise of Ricky Ponting commences. – Ricky Ponting is my favourite player. He came to our town and I have a picture of me and Ricky Ponting. It is my favourite picture and I have put it up in my room. – Ricky Ponting is my favourite player. Do you like Ricky Ponting? (me) Yes, of course. He is magnificent. Do you know Ricky Ponting? – Ricky Ponting is my favourite player. I am so happy when Ricky Ponting makes 100 runs. I bet every game that he makes 100 runs. 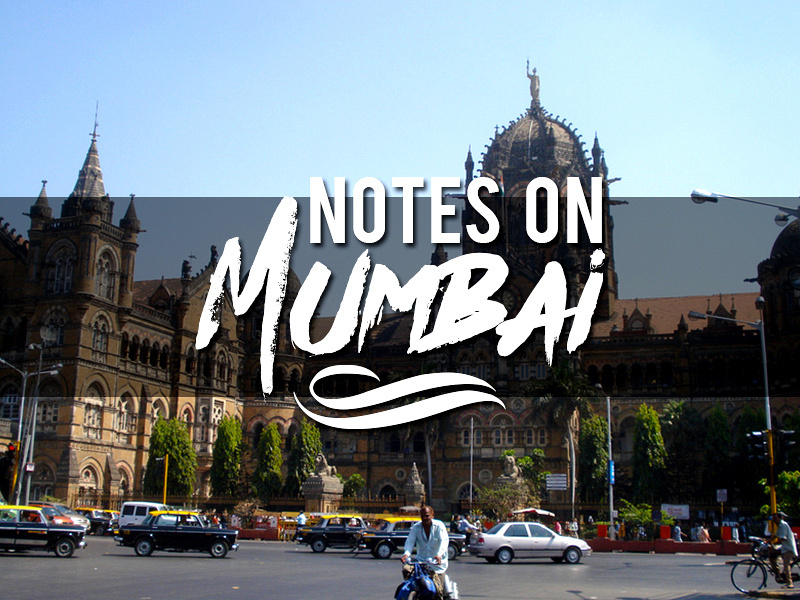 Mumbai Travel Guide: A list of blogs and resources for travel planning. Mumbai photos: A gallery from my trip to Mumbai. Mumbai hotels: Search for hotel with Agoda. 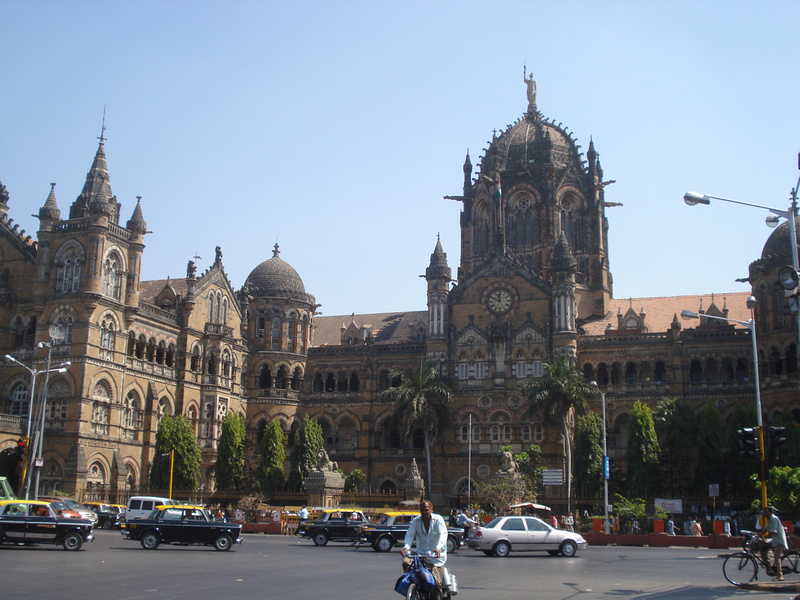 Flights to Mumbai: Compare the cheapest flights with Skyscanner. Lonely Planet Goa & Mumbai (Travel Guide): Research Mumbai before you go.